BEHR quality with professional performance. Designed for optimized application, BEHR PRO i300 Series Interior Paint can be applied with a sprayer, roller or brush. This professional water-based formula offers superior touch-up and excellent hiding performance for your convenience and dries in 60 minutes. Available in 1,400+ colours. Marquee 3.7 L Medium Base Eggshell Enamel Interior Paint with Primer Change can be this beautiful, and this easy. 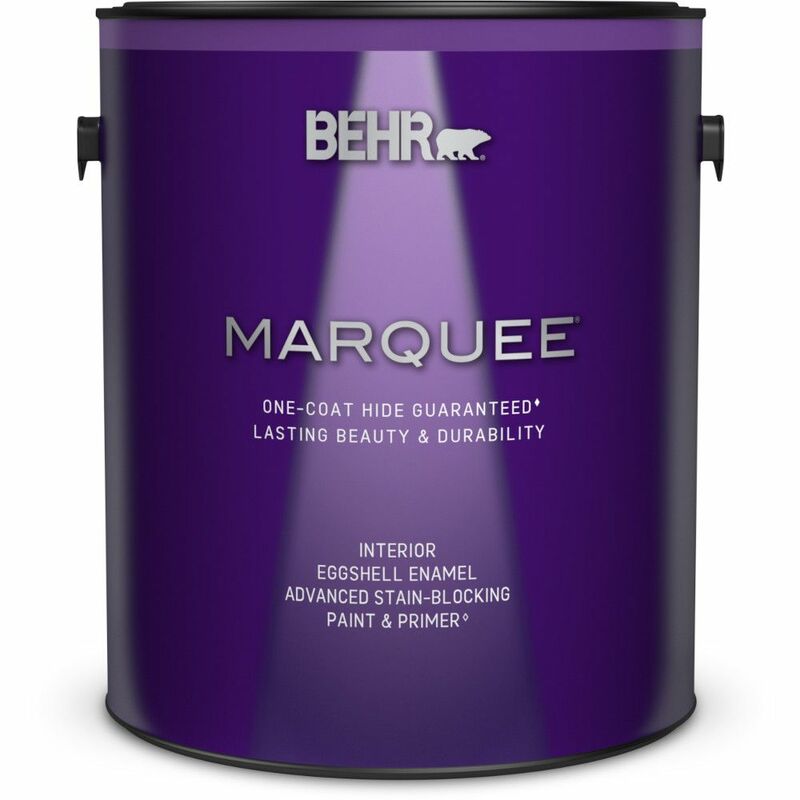 Marquee<sup></sup> Interior is Behr's most advanced paint and primer, ever. With one-coat hide guaranteed* in over 1,000 colours, you can show your true colours in less time and with less paint. Not to mention its superior stain resistance and an easy-clean, durable finish so your space will stay looking fresh year after year - or until you feel like changing it up. Marquee 3.7 L Medium Base Eggshell Enamel Interior Paint with Primer is rated 4.8 out of 5 by 668.